Primitive Stitchery Printed Patterns, Primitive Stitchery E-Patterns & Wholesale Primitive Stitchery! Free Pattern Offers!! All Patterns are available as Printed Patterns and E-Patterns!! Free Pattern Offers, " Harvest Blessings!" Pattern and "Winter Blessing Candle Mat!" 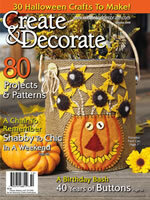 See our published patterns offered in the October and December "Create & Decorate" Magazine! These unique Primitive Stitchery Printed Patterns and E-Patterns are designed for the beginner or the more advanced stitcher. They can also be used for painting. 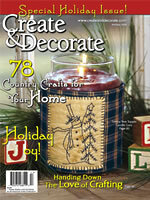 They are quick and easy patterns with easy to read detailed typed instructions with a numbered DMC supply floss list. Printed patterns are printed on white cardstock for easier transfer of the pattern and durability of pattern. Our Customers are our top priority! You can be assured of receiving unique quality items, fast shipping and fast emailing of E-Patterns! Primitive Stars, Primitive Snowmen and Americana, Vintage china, Vintage Quilts with Folk and Country creations for any home decor! These patterns and along with the right to their designs belongs to JoAnn's Country Corner and may not copied or printed for resale. We appreciate your business very much and sincerely thank you for taking the time to stop in! Please feel free to email me with any questions or concerns.